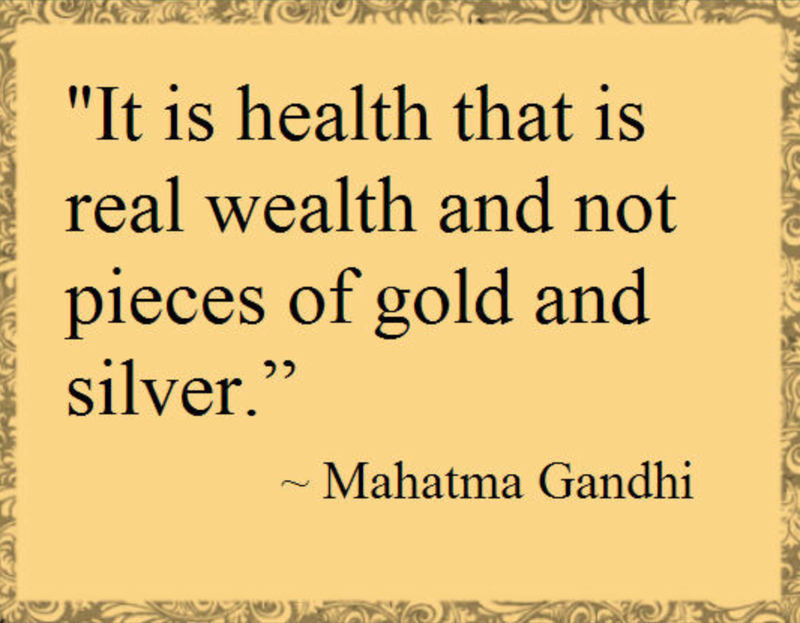 The greatest health is wealth. A pauper in the midst of wealth. all my wealth is in my memories. I say no wealth is worth my life. Not valuing wealth prevents theft. 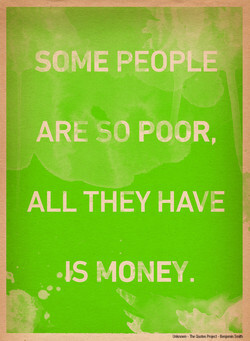 ... the monotonous beauty of wealth. 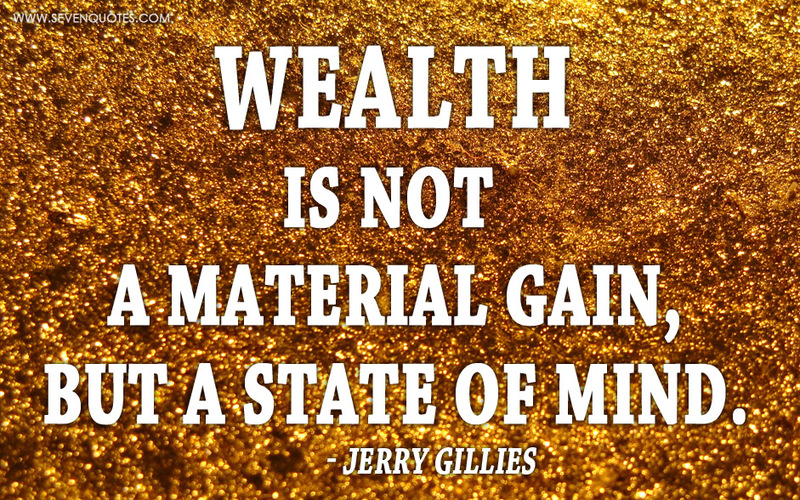 God owns all the wealth in the world! Palestinians have no wealth or power. 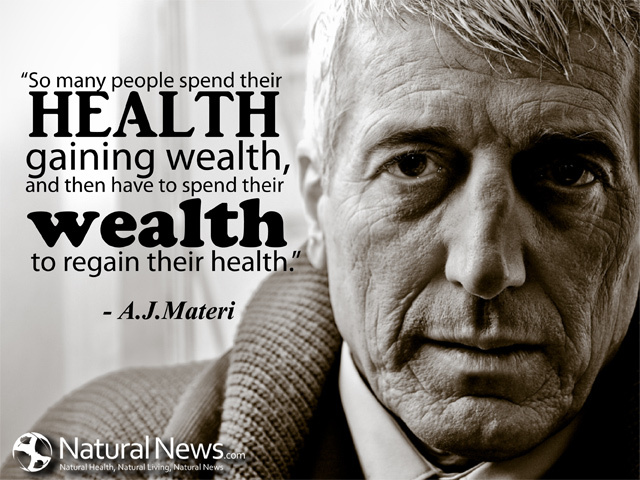 Our health care is rationed by wealth. Proverty and wealth are comparative sins. Hope roves in a future of fame and wealth. What is wealth to me if I cannot enjoy it? Great wealth often curses all who touch it. 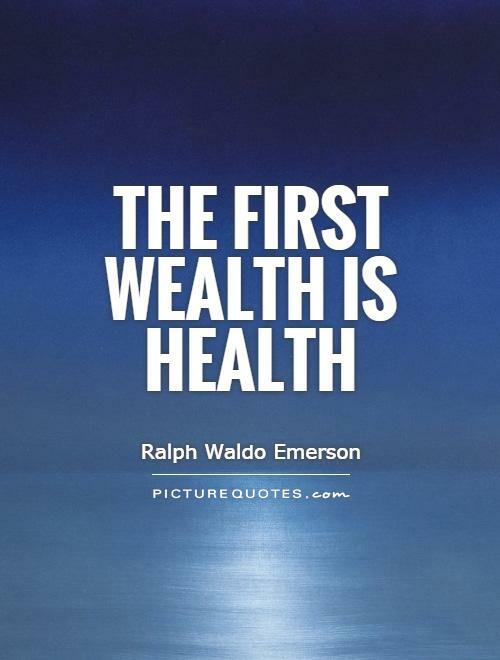 And wealth abides not, it is but for a day. 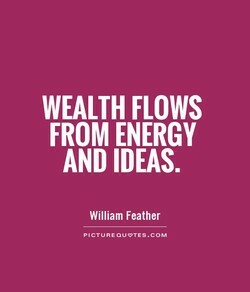 Ideas will be the major source of new wealth. What can be heavier than wealth than freedom? Hee that marries for wealth sells his liberty. 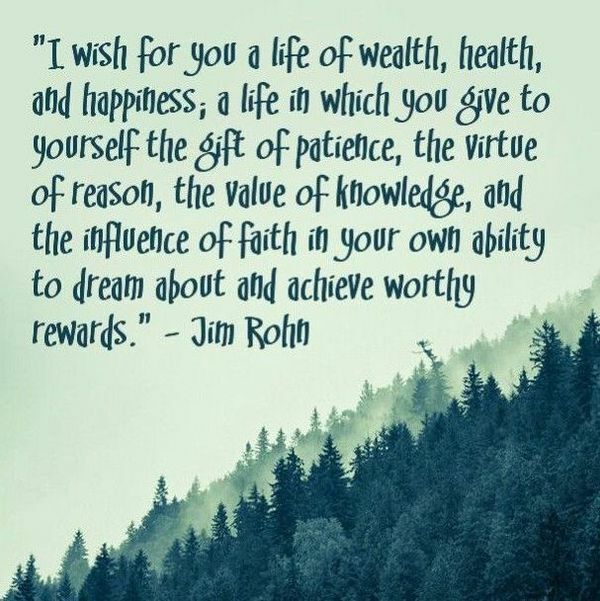 A wealth you cannot imagine flows through you. the engrossing pursuit of Americans is wealth. All wealth is relative; and so is its absence. The wealth of a country is its working people. These hoards of wealth you can unlock at will. A good education is a stepping-stone to wealth. Conscience and wealth are not always neighbors. There is wealth within the sound of your voice. The advantages of wealth are greatly exaggerated. 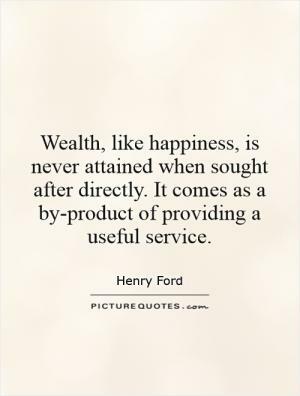 To be satisfied with what one has; that is wealth. There is a wealth of unexpressed love in the world. 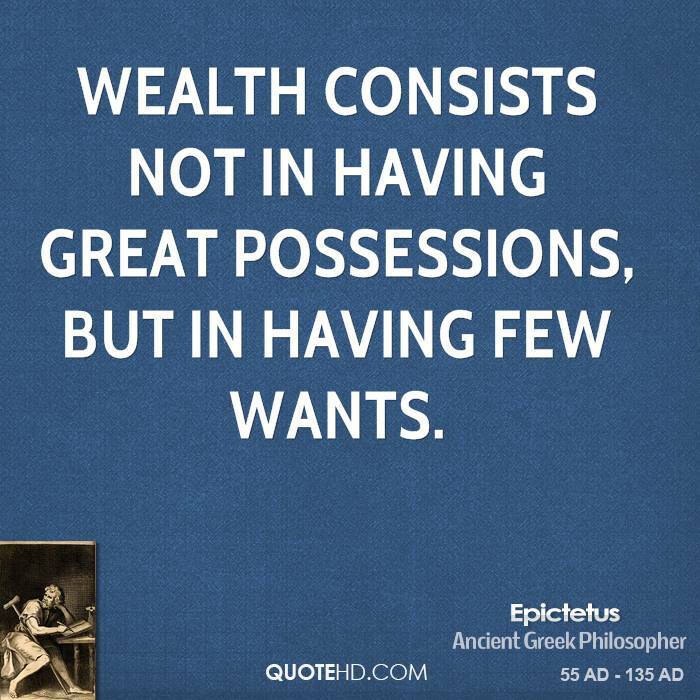 A man's wealth is measured by what he doesn't need. The wealth that cannot be administered is a burden. Whoever will give sadaqa, his wealth will increase. 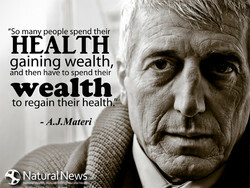 We must create wealth and we must cut our deficits. 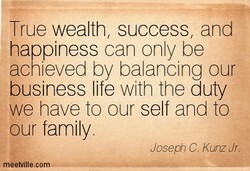 Lack of wealth cannot take away genuine contentment. An honest man always values earning honor over wealth. The wealth of society is its stock of productive labor. The more wealth a man has, the louder his children talk. 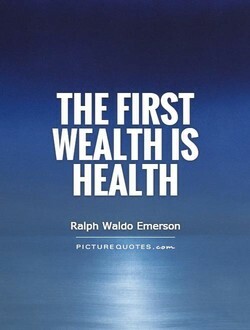 Riches are first to be sought for; after wealth, virtue. To build wealth today, you must be in your own business. 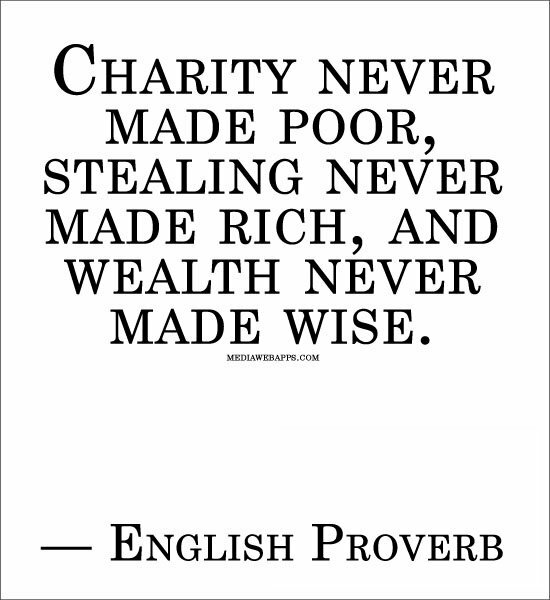 Stealing has always been a way of redistributing wealth. 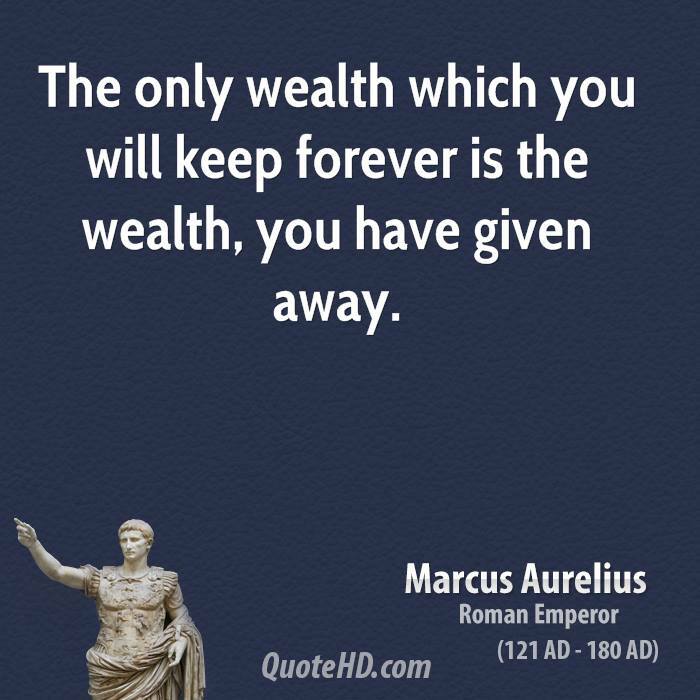 The only wealth you keep is the wealth that you give away. 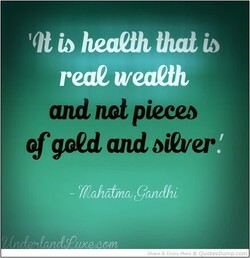 All lasting wealth comes from enriching others in some way. Hereditary wealth is in reality a premium paid to idleness. 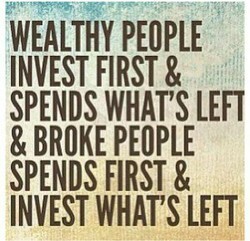 So money is not the answer to problems; wealth mentality is. The gods have given you wealth and the means of enjoying it. We do a wealth of stuff (live), drawing from over the years. He is a poor man who can only measure his wealth in dollars. The ability to Self-Motivate is a cornerstone of true wealth. 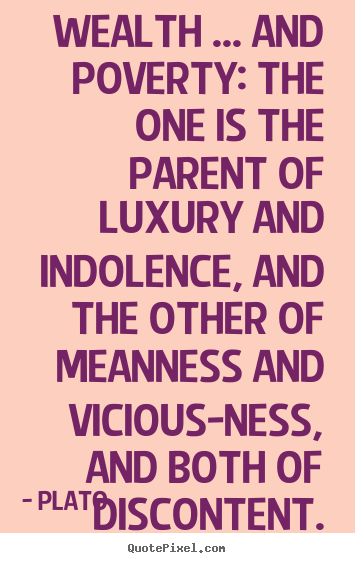 ... wealth and female softness equally tend to debase mankind! 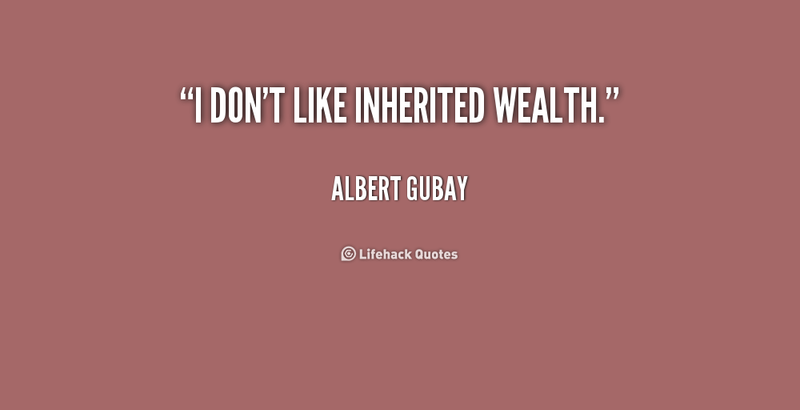 I dislike wealth and prosperity, especially that of other men. 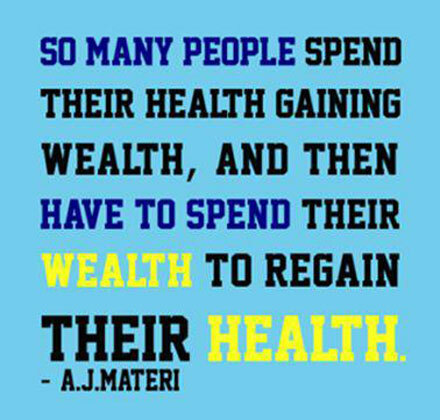 Either wealth is much increased, or moderation is much decayed. Realism: the wealth of detail guarantees the truth of the tale. The distribution of wealth is just as important as its creation. I want to bring wealth back to our country so we can afford them. Without labor there is neither wealth, nor comfort, nor progress. 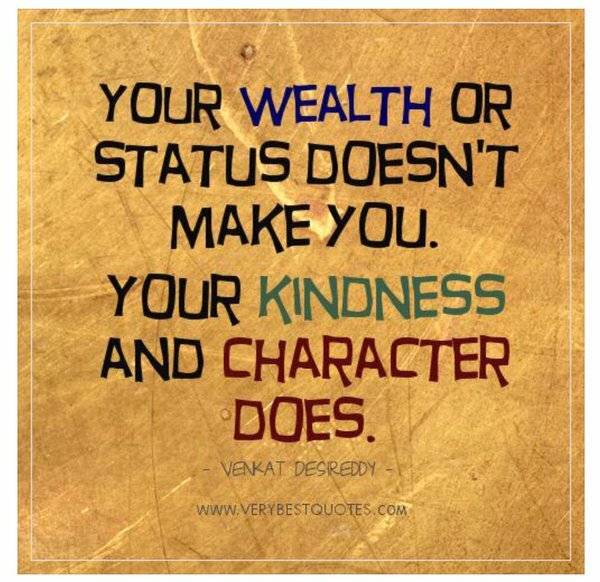 Character - not wealth, power, or position - is the supreme word. 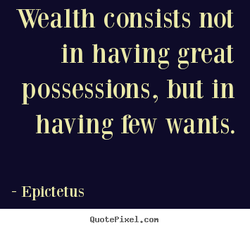 Excessive wealth is a great problem masquerading as a great good. 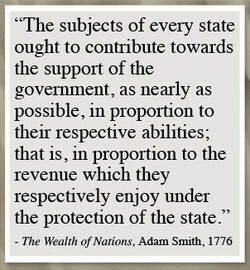 I believe in returning the nation's wealth to its rightful owners. Spring's first conviction is a wealth beyond its whole experience. Books are still the main yardstick by which I measure true wealth. Subsidies are a shell game, not a net addition to national wealth. Exploitation is not exclusively capitalist, but wealth creation is. Time is lord of thee: Thy wealth, thy glory, and thy name are his. First problem. To produce wealth. Second problem. To distribute it. A good example is a better legacy for children than wealth or honor. O citizens, first acquire wealth; you can practice virtue afterward. The wealthy seldom possess wealth: oftener they are possessed by it. Thirst of wealth no quiet knows, But near the death-bed fierce grows. The character which results from wealth is that of a prosperous fool. Greenspan's policies have created huge amounts of wealth for Arizona. Money without wisdom diminishes the pleasure and enjoyment of wealth. You can gauge a country's wealth, its real wealth, by its tree cover. It's OK to have wealth. But keep it in your hands, not in your heart. 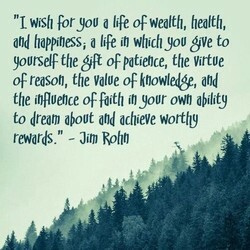 The smallness of our desires may contribute reasonably to our wealth. 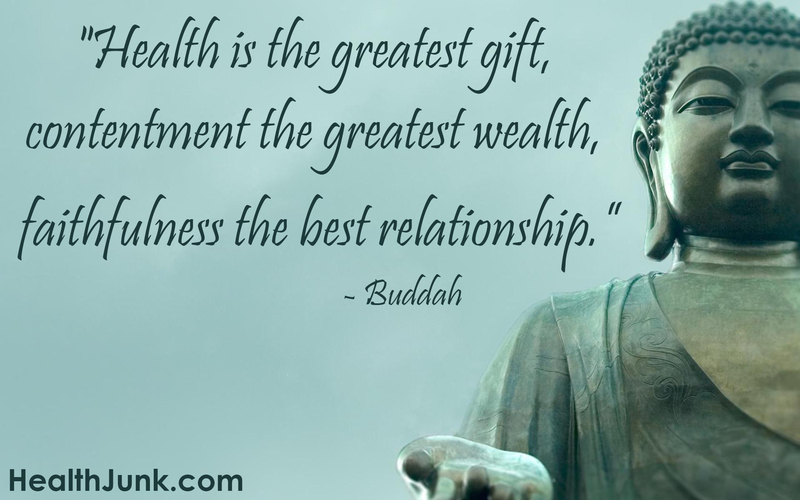 A permanent relationship is dependent on particular purpose or wealth. Care clings to wealth: the thirst for more Grows as our fortunes grow. A man's true wealth hereafter is the good he has done to his fellowmen. 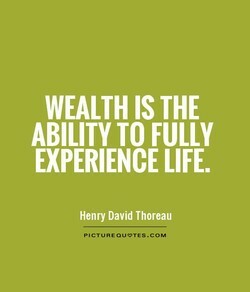 Whether one has wealth or not, no treasure exceeds the one called life. 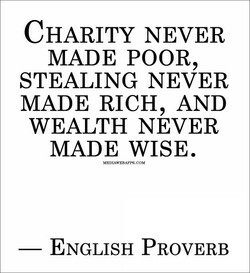 Giving is the safety valve that releases the excess pressure of wealth. Malefactors of great wealth have arrogantly ignored the public welfare. My photographs are not pure: they are a seething wealth of imperfection. Man acquires wealth in proportion as he puts his labor to better account. Sudden wealth was the great insulator, second only to sudden bereavement. God ought to be given the choice portion of our wealth and not its dregs. 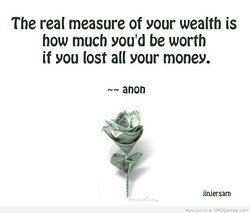 Your real wealth can be measured not by what you have but by who you are. When you create wealth, it's your responsibility to return it to society. We never get far from wealth and all of its masks when we deal with power. All property and all forms of wealth are produced by man's mind and labor. At the moment the British Common-wealth is a Commonwealth of White nation. It is good to stay in a peaceful poverty than to stay in a painful wealth. Did you know that lack of information is the number one barrier to wealth? I ask you to ensure that humanity is served by wealth, and not ruled by it. 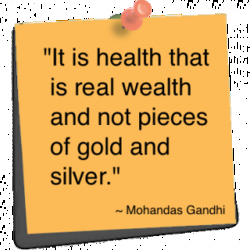 Increasing wealth is attended by care and by the desire of greater increase. 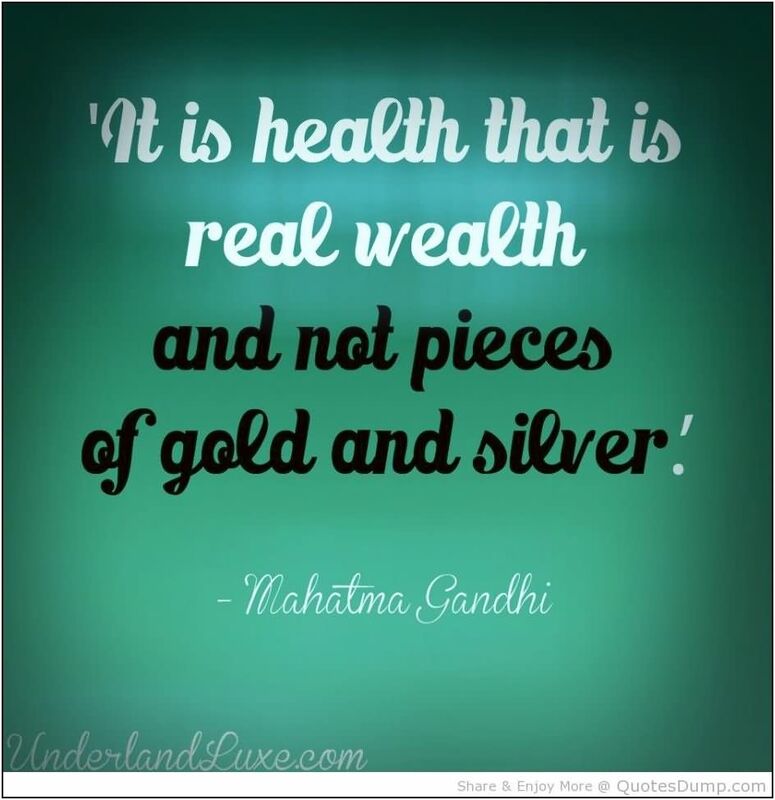 There is wealth but no wellbeing. 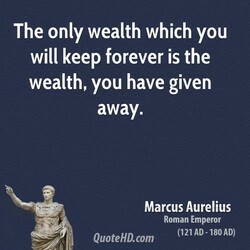 What are you going to do with this wealth? That's really what wealth does for you. It gives you freedom to make choices. 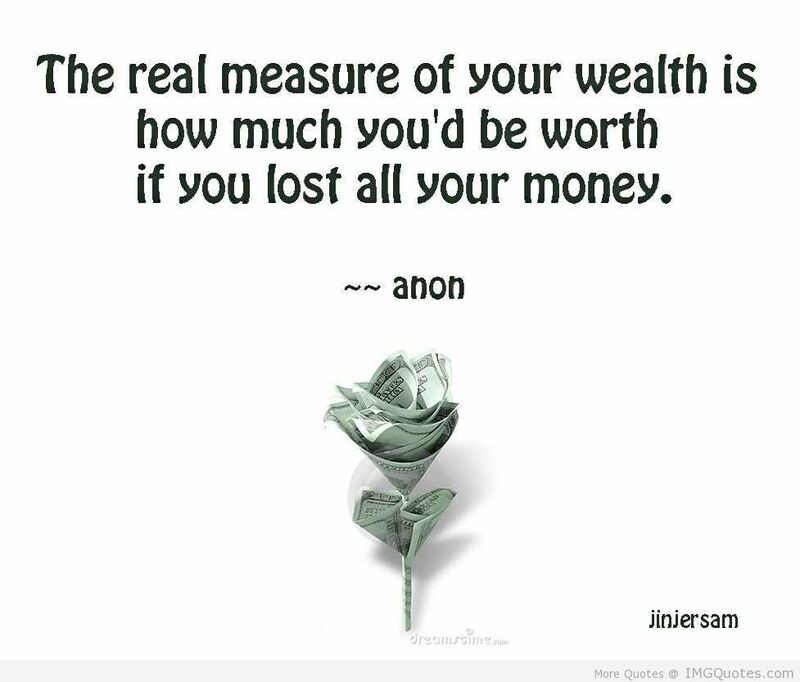 Your wealth maybe hiding right behind the very thing you are reluctant to do. In capitalist enterprise there is no secure income and no security of wealth. 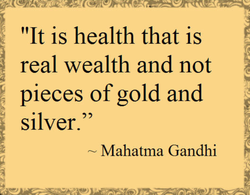 Wealth acts merely as a kind of mirror to show you human nature at its worst. A few good compliments produce a wealth of good and often financial benefits. 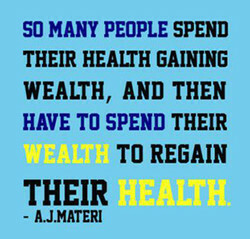 Well-gotten wealth may lose itself, but the ill-gotten loses its master also. Wealth is not determined by investment performance, but by investor behavior. We need to have great wealth and we need to have the critics of great wealth. There is no greater wealth than Virtue,And no greater loss than to forget it. Under our plan you can build wealth, even if you don't have a dollar to spare. When Wealth walks in at the Door, the Press Agent comes in through the Window. I glory, more in the cunning purchase of my wealth than in the glad possession. Within this culture wealth is measured by one's ability to consume and destroy. 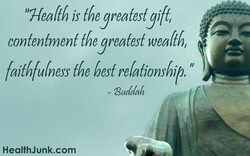 Care may acquire wealth, which, when acquired, care must guard and worry about. A man's word Is believed just to the extent of the wealth in his coffers stored. The amount of a man's wealth consists in the number of things he can do without. Wealth, taste and leisure can bring many things but they do not bring happiness. Our culture says Status is more important than Wealth, but we teach the opposite. Climate change policy is about how we redistribute de facto the worldâs wealth. This is the greatest wealth we possess: to know how to direct our labors rightly. Wealth is the Conjurer's Devil, Whom, when he thinks he hath, the Devil hath him. Politicians cannot create jobs or wealth. Such is axiomatic to straight thinkers. Therefore, if at great things thou wouldst arrive, Get riches first, get wealth. Nature makes all the noblemen; wealth, education, or pedigree never made one yet. Experience shows us Wealth unchaperoned by Virtue is never an innocuous neighbor. It's easier to accumulate wealth if you don't live in a high-status neighborhood. 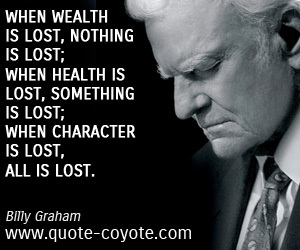 At times it seems we require more grace to lose our wealth than to lose our life! We have three big shows on Sunday, so there will be pressure to spread the wealth. Our heart is a treasury; if you pour out all its wealth at once, you are bankrupt. As an example of wealth, good taste, and subtle intimidation, it took first prize. Man must make his choice between ease and wealth; either may be his, but not both. Let there be wealth without tears; enough for the wise man who will ask no further. The distribution of wealth is not determined by nature. It is determined by policy. 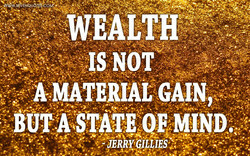 Wealth is only a benefit of the game of money. If you win, the money will be there. Your name or your body, what is dearer? 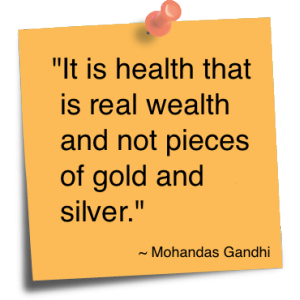 Your body or your wealth, what is worthier? The presence of excessive wealth puts an unnatural spin on the appreciation of art. Death is teacher enough, true faith is wealth enough, and worship is action enough. The belief that all wealth comes from stealing is popular in prisons and at Harvard. When will the left learn that if you confiscate wealth it doesn't create more of it. I disagreed with Carnegie's ideas on how best to distribute his wealth. I spent mine! It [concentration of wealth and power] has been a menace to . . . American democracy. The growing wealth aquired by them corporations never fails to be a source of abuses. It is not our wealth that built our roads, but it is our roads that built our wealth. There is no fixed road to wealth, and goods do not stay with the same master forever. My wealth is measured not in money but in photographs, not in quantity but creativity. I desire ... to leave this one great fact clearly stated. THERE IS NO WEALTH BUT LIFE. That is what capitalism is: a system that brings wealth to the many, not just the few. Don't sacrifice your spirit for wealth. Grow your wealth by first growing your spirit. 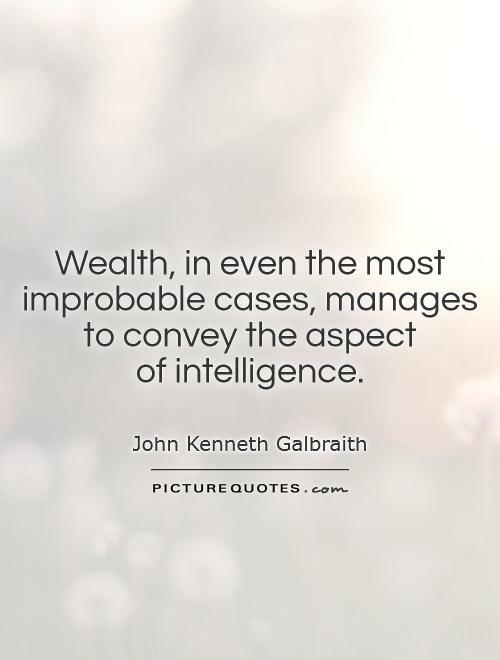 The next great transfer of wealth WILL take place, not by conspiracy but by ignorance. What immigration really does is redistribute wealth away from workers toward employers. I found the road to wealth when I decided that a part of all I earned was mine to keep. High descent and meritorious deeds, unless united to wealth, are as useless as seaweed. How heavy is the toll of sins and wrong that wealth, power and prestige exact from man. Wherever there is excessive wealth, there is also in the train of it excessive poverty. If it is well with your belly, chest and feet - the wealth of kings can't give you more. Wealth increaseth, but a nameless something is ever wanting to our insufficient fortune. If we from wealth to poverty descend, Want gives to know the flatterer from the friend. 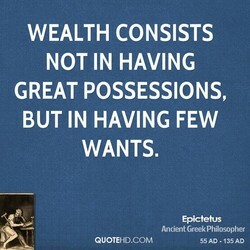 our contempt of wealth does not extend beyond the hour when we can get it in possession. Water is best, but gold shines like fire blazing in the night, supreme of lordly wealth. 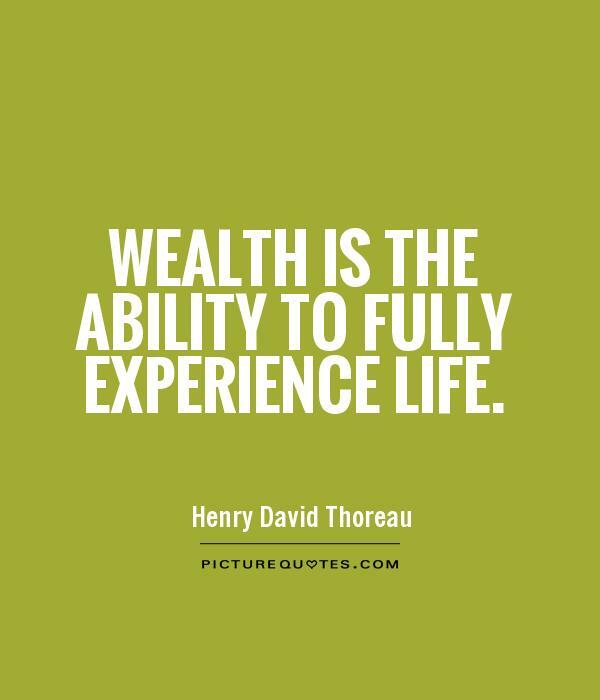 Your wealth of experience makes you rich. Spend it on hurt people. They need it so badly. 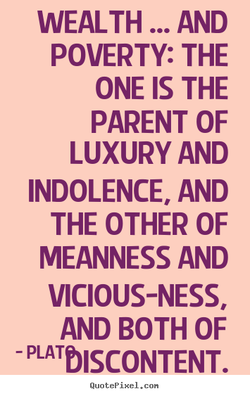 Wealth is a dangerous inheritance, unless the inheritor is trained to active benevolence. He wears himself out by his labours, and grows old through his love of possessing wealth. True Wealth is being able to do what I want, when I want. If I can do that, I am wealthy. Socialism takes and redistributes wealth, but it is utterly incapable of creating wealth. Time is wealth, and the Gita says the Great Annihilator annihilates those who waste time. 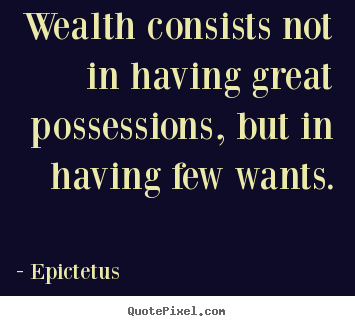 I don't waste too much time philosophizing about wealth, I just recommend it to everyone. A person who has great wealth will still be unhappy if he hasn't also mastered gratitude! Control what I hold and of course be the boss of myself, no-one else will bring my wealth. Poverty? 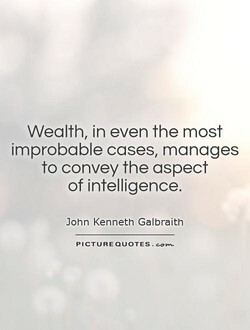 Wealth? Seek neither -- / One causes swollen heads, / The other, swollen bellies. Love your country, not for her power or wealth, but for her selflessness and her idealism. I was so spoiled in a way. I worked very hard, but there was just a wealth of great roles. 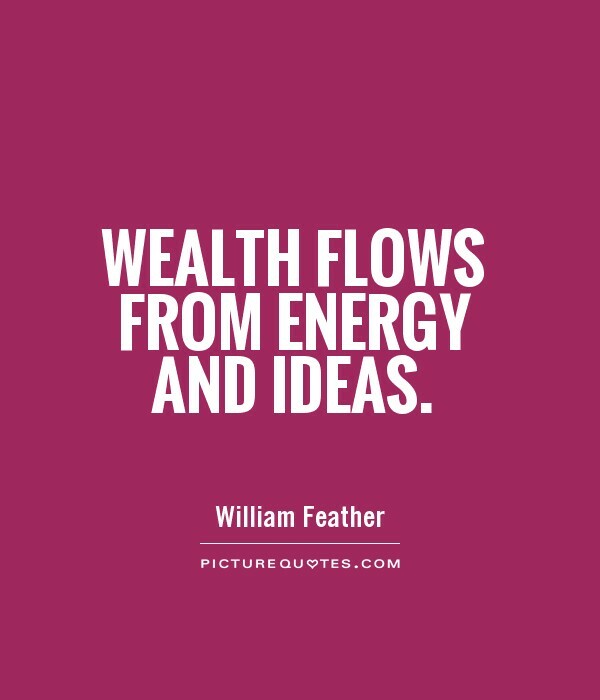 All wealth is power, so power must infallibly draw wealth to itself by some means or other. Biggest pent-up negative wealth effect you can see in the economic data going back to 1952. 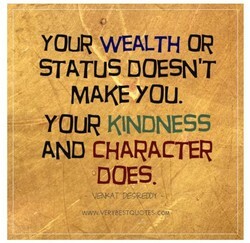 Don't be intimidated by power, wealth or station, character alone makes all the difference. Time is the truest form of wealth. And the beauty is, we are all born equally rich in time. No republic can long exist unless a substantial equality in the wealth of citizens prevails. The fool is his own enemy. Seeking wealth, he destroys himself. Seek rather the other shore. 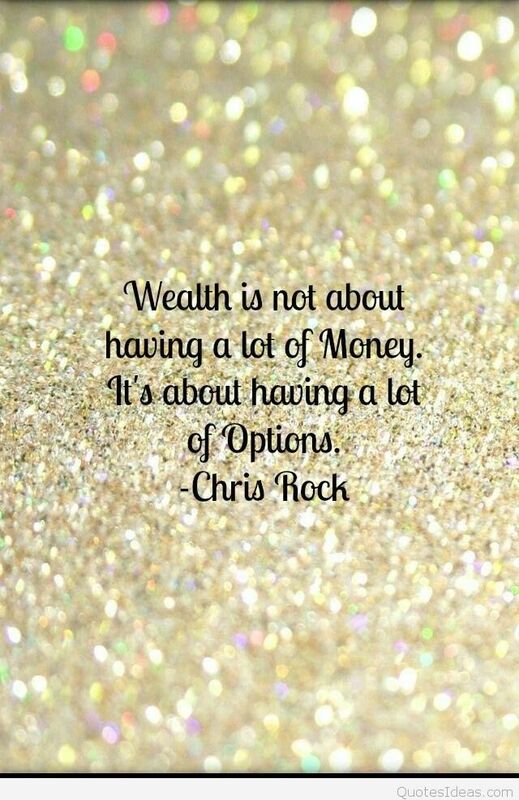 True wealth is not what you have, it's what you're left with with when all you have is gone. Donald [Trump] has had a long career of using great wealth and power trying to bully others. 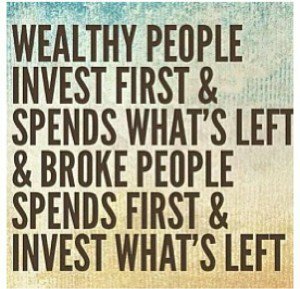 If you are not fully, totally, and truly committed to creating wealth, chances are you won't. Getting out and staying out of debt is key. debt is the biggest barrier, a parasite to wealth. I had one idea that never changed in my mindâthat you should use your wealth to help people. There is no society, however free and democratic, where wealth will not create an aristocracy. States care about relative wealth, because economic might is the foundation of military might. 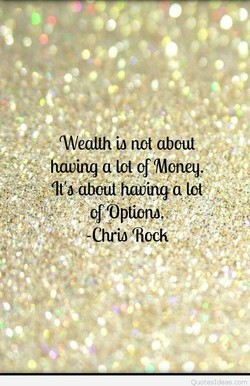 Wealth is enjoying what we already have, not getting more of what we think will make us happy. Poverty doesn't come because of the decrease of wealth but because of the increase of desires.